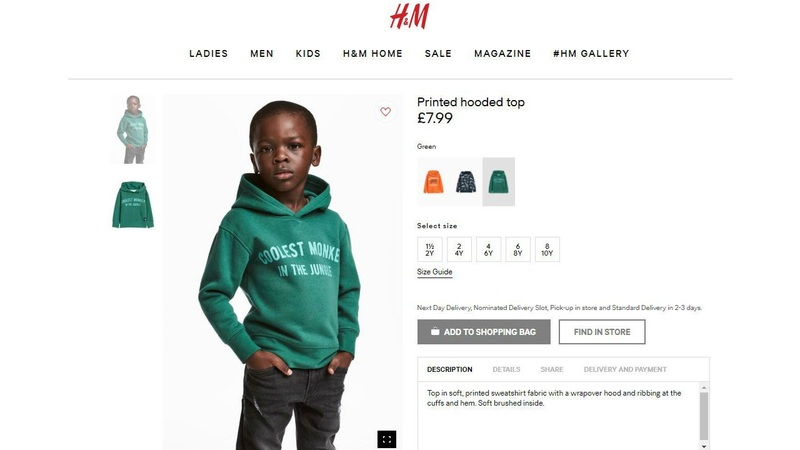 H&M Hoodie Controversy: Racist Or Ignorant? The H&M hoodie controversy… It’s been a while, but today I want to ask you all again a very controversial question. Was it racist or ignorant? Whether it was racist or ignorant, something I know for sure: it wasn’t good. While for many it was a clear act of racism from the company, I have a different take on the subject. Is There A Real Controversy? Should H&M Apologize? In my opinion, I don’t see the message as racist but as an unhappy choice from the company. Context matters. Unfortunately, we’re currently living in a very unstable and sensitive environment. When I see “coolest monkey in the jungle” I don’t associate this statement with racism. Why? Because I never use the term “monkey” when I’m referring to black people. However, I’m also aware why some would find it racist. Some people (degenerates) like to use the word “monkey” to refer to black people in a disrespectful manner. Having said that, what do I consider racist? Whenever, I answer this question I always evaluate intent. Was H&M intentionally trying to discriminate black people? In my opinion, no. Now, let’s go back to the damn hoodie. If a Caucasian kid or Asian kid wore it, would it have the same negative effect? No one would be even paying attention. If a message is bad, shouldn’t it be universally bad? Or are we trying too hard to read things that don’t really exist? Could The H&M Hoodie Controversy Have Been Avoided? The company was not racist when they decided to put that “coolest monkey in the jungle” on a black kid. They were ignorant about what that could mean to a specific demographic group. Could the H&M hoodie controversy have been avoided? Yes, but that implies changes in the corporate culture. The world is not a bed of roses waiting for you to lay on it. You need to keep up with the latest cultural trends — being culturally sensitive. Don’t just sell what you think is cool, be aware of what is cool or not nowadays. What other words do I have for H&M? When in doubt, don’t. Chinese Controversial Ad — Racist Or Ignorant? The Dove Experiment: Are You Beautiful Or Average?